It was a time when there were only two TV channels in Pakistan; PTV and STN. PTV was national channel while STN was a private TV channel. Then PTV became PTV Home and also launched other channels i.e. PTV News, PTV National, PTV AJK, PTV Sports and PTV Global while STN became ATV. But now there is a long list of Pakistani news, entertainment, religious, regional, sports, music and foods television channels. Here is a list of some popular TV channels which have official live streams available online. ARY QTV – To view Live ARY QTV click here. Peace TV – Though it is not a Pakistani channel but have huge viewership in Pakistan. To view Live Peace TV UK, Peace TV USA and Peace TV Urdu click here. Aaj News – You can watch Live Aaj News here. ARY News – To watch high quality Live ARY News click here. Channel 24 – Claiming to be Pakistan’s first and only current affairs channel, Channel 24 can be viewed Live here. City 42 – To view local city news from Lahore click here. Dawn News – Dawn Media Group's Dawn News TV can be viewed live here. DIN News – Live DIN News can be viewed here. Dunya News – Live Dunya News in HD quality can be viewed here. Express News – Live Express News can be watched here. Geo News – Live Geo News can be viewed here. Geo Tez – Geo group’s other news channel Live Geo Tez in HD quality can be viewed here. Khyber News – Pakistan first Live Pashto News channel Live Khyber News can be viewed here. Koh e Noor TV – You can view this channel live here. KTN News – One of the leading Sindhi News Channels Live KTN News can be viewed in HD here. News One – Live News One can be viewed here. PTV News – Live PTV News can be viewed here. PTV World – It is a PTV's English News Channel and can be viewed here. Royal News – To watch Live Royal News click here. SAMAA News – To watch Live SAMAA news click here. Such TV – You can view Such TV live by clicking here. Waqt TV – Channel owned by the Nawa-i-Waqt group can be viewed here. 92 News HD – Pakistan’s first HD Live news channel 92 News can be viewed here. ARY Digital – Famous for its shows such as Jeeto Pakistan, Live ARY Digital can be viewed here. ARY Zindagi – Live ARY Zindagi can be viewed here. A PLUS TV – Relatively newer entrant in the Pakistani entertainment scene, Live A Plus TV can be viewed here. APNA Channel – To watch Punjabi entertainment channel Live APNA News in HD quality click here. AVT Khyber – To watch Pashto entertainment Live AVT Khyber click here. Express Entertainment – Express group’s entertainment channel can be viewed here. Geo Kahani – GEO Kahani is an entertainment channel of GEO television network. Live Geo Kahani can be viewed here. Geo Entertainment - Har Pal Geo – You can view Live Geo Entertainment here. HUM TV – Live HUM TV can be viewed here. HUM Sitaray – Watch HUM TV's other entertainment channel Live HUM Sitaray here. PTV Home – Pakistan’s National Television channel can be viewed Live here. TV One – Live TV One can be viewed here. ARY Musik – ARY Group’s music channel can be watched here. Vibe TV – Famous for nothing much other than Mathira’s controversial late night show (probably isn’t aired anymore); Live Vibe TV can be viewed here. PTV Sports – Live PTV Sports stream is available in Pakistan only. To view the Live PTV Sports Stream click here. Geo Super – To watch Live Geo Super click here. ARY Zauq – you can view Live ARY Zauq here. Masala TV – HUM Masala TV can be watched here. This is a list of around 50 Pakistani channels that can be streamed Live. Enjoy viewing and do share your feedback. 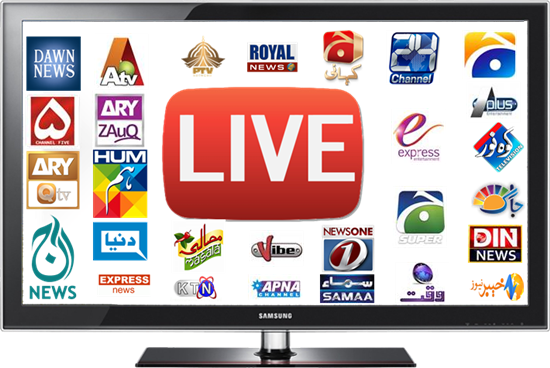 Bookmark this page for quick and easy access to this comprehensive list of Pakistani TV Channels which have live streams online. Watch GEO KAHANI Channel And its Drama Episodes.